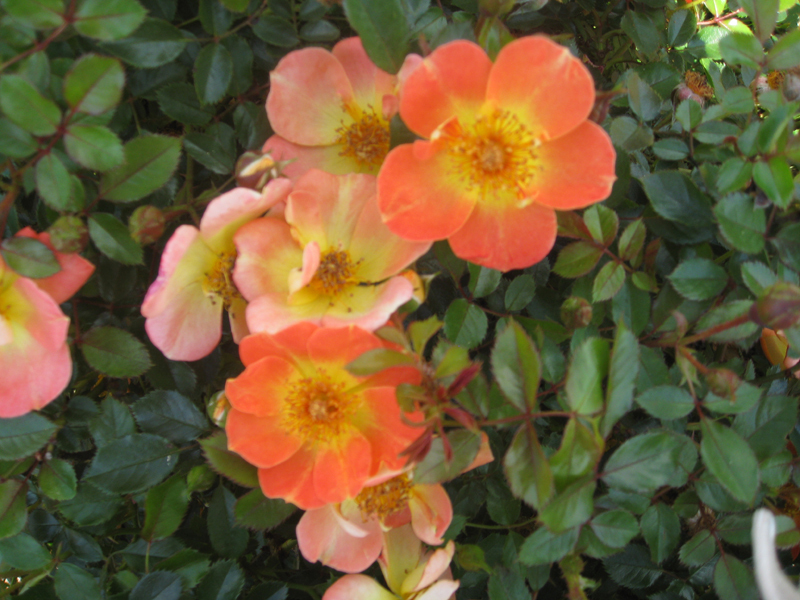 Comments: A low growing, mounded rose with loads of spicy, reddish-orange single blooms that remind one of a beautiful sunset. This rose is very tolerant of leaf diseases. It stays in bloom from early spring into fall.